iPhone 6S Force Touch could revolutionise mobile gaming - but where does that leave everyone else? I have a terrible secret that I have to reveal: I'm addicted to Candy Crush Soda. I hate myself for saying it because a) I'm a million years late to the game and b) I spent those million years telling everyone else that King's approach to microtransactions was a bit dodgy. But now I'm hooked, and those tiny coloured candies have become my nemesis. I see everything in delicious structures. Please, someone, send help. There's a point to this confession: recently, I've been thinking about Apple's Force Touch and what it could do for the iPhone 6S - particularly when it comes to third party apps and games - and what it means for everyone else. To explain it to anyone who hasn't used the Apple Watch or MacBook, Force Touch is a technology that detects when you're exerting extra pressure on the screen, and responds accordingly. On the Watch, a tap of the screen will wake it up, but an extra strong press will take you to the watch face selector and give you a haptic vibration in acknowledgement. The Watch has a tiny screen, which means we'll probably see Force Touch limited to only a handful of useful features. 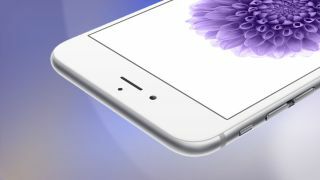 But on the iPhone 6S it will open up a massive range of possibilities - especially when app developers get their coding fingers on it. Apple itself will undoubtedly find ways of using Force Touch to improve the iOS 9 experience. It could give both the iPhone and iPad a better keyboard, letting you pushing down harder to capitalise a letter, for example. It could replace the 'touch and hold' to become the new 'right click' function. Heck, it could even give the iPhone an Android-style back button. On the rumoured iPad Pro, Force Touch could have a particularly useful application in design and productivity. A more subtle haptic vibration could make an on-screen keyboard feel more real, while pressure-sensitive drawing might give the Pro a killer feature when appealing to creatives. But it's gaming that I'm most excited about. The term "game changer" is overused a lot in this industry, but here it's probably more applicable than ever. To indulge my opening point for a moment, a force push in Candy Crush might cause a piece of candy to do something like else like change to a random other colour (Hey King, I'm copyrighting that one). Force Touch will add an entirely new input for game developers, opening up so many new possibilities in the way we play. The things is, once app developers start discovering these new possibilities - and they will very quickly - it creates a problem: how do you integrate Force Touch features in an app that's cross-platform with phones lacking pressure-sensitive functionality? The answer, unfortunately, is to leave everyone else on the back foot. Apple will unlock a unique experience that app developers will only be able to offer iPhone users. Apple's early shift to a 64-bit processor was the last time we saw it try to differentiate its app and game experience from Android phones. With Force Touch, I suspect that we'll see other players trying to close the gap quickly - or else they'll fall behind dramatically. Huawei is already jumping on the wagon: it introduced its own version of Force Touch on the Mate S (admittedly, a special variant) at IFA 2015. I expect others will follow quickly; Samsung has already patented a pressure-sensitive technology of its own, and other manufacturers won't want to fall victim to market fragmentation. That's because Force Touch is much more than a gimmick. It will be a new way of interacting with the our phones, potentially bringing about the biggest input change in smartphones since the touchscreen itself. Soon we'll know for sure how committed manufacturers are to bringing this tech to market, but I suspect that, unlike fingerprint sensors, once Apple gets this tech out of the door, the uptake will be incredibly swift.